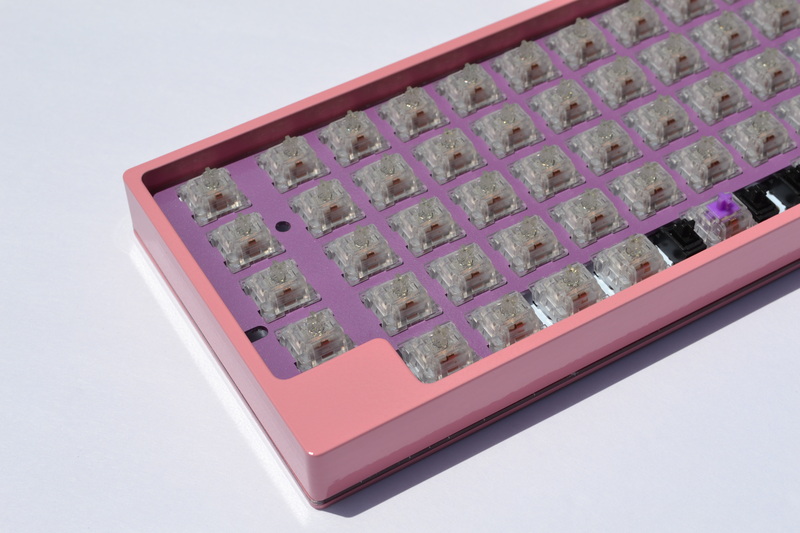 ​The Boardwalk is a 60% ortholinear keyboard, designed around Ergodox keycap sets and to fit into standard 60% cases. The project was inspired by OLKB’s Atomic keyboard, which used larger 2u mods, making it easier to hit the modifiers/outside keys. 2u caps are hard to source, and outright impossible if you want to use sculpted sets, so the move was made to 1.5u keys from Ergodox sets. The rest of the board is fillable using standard key sizes from 60% sets. The plates come in a few options. The standard plate on offer is a universal plate that will fit in any tray mounted case. 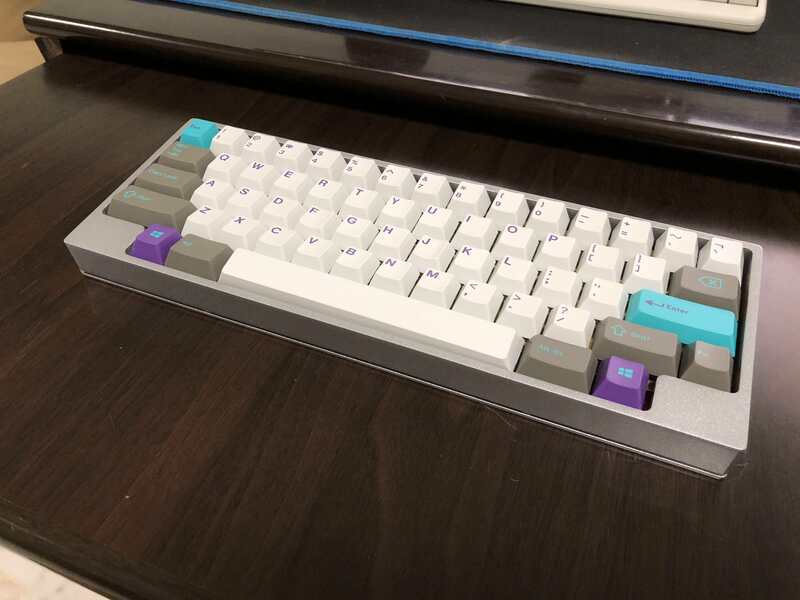 A top-mounted plate will also be offered that will fit in KPRepublic’s XD60/64/75 cases. For this GB, I will also be offering to design custom plates for your top-mounted 60% case, as long as a DXF file of the original plate can be supplied. The fee for this service is an extra $10 as there is a cost to set up the tool path for a different design, as well as our time to separate the unique plates and package them. Also, u/plastikschnittstelle has kindly produced a custom plate for Boardwalk support! 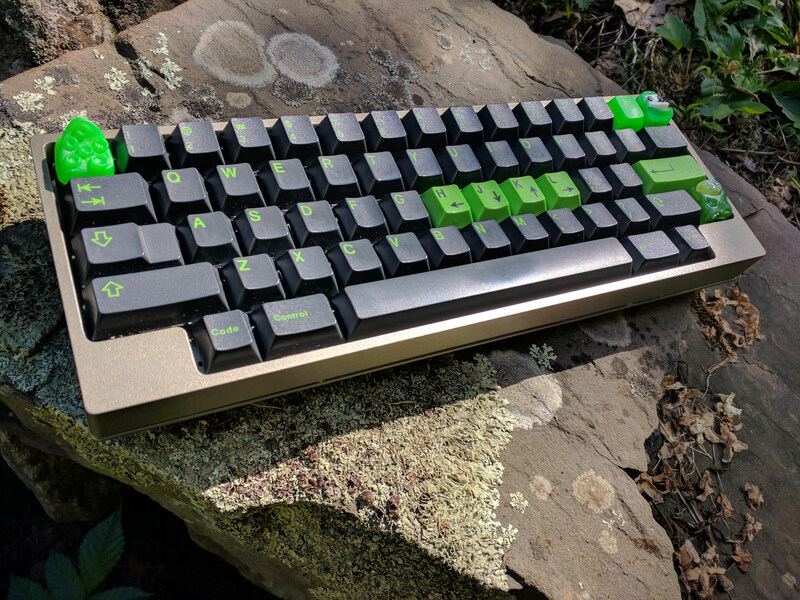 If you want to have an ortho 60% layout for his keyboard case, grab a PCB from us, and run over to his GB to grab a case. 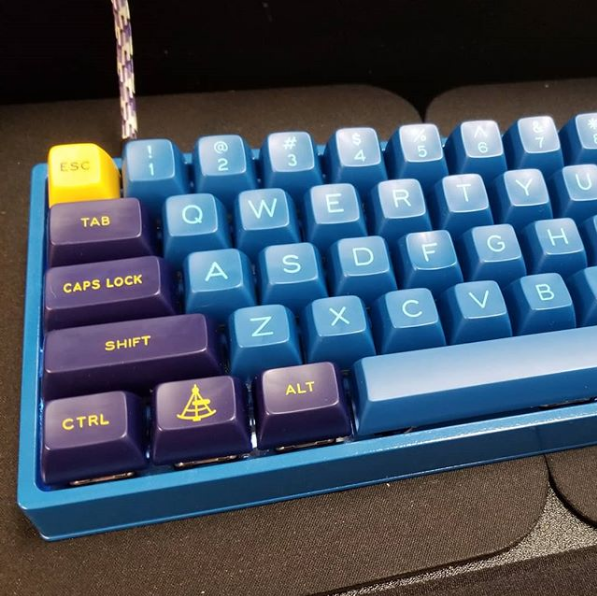 Check out his post here, in case you wanted to utilize his SKB keyboard case with a Boardwalk ortho PCB! Custom plate design: +$10 on top of either above. We are looking at a mid-January ship-date to all entrants. Enter the Group Buy here. Fill out the form with your order and you will be invoiced at the end of the GB period. 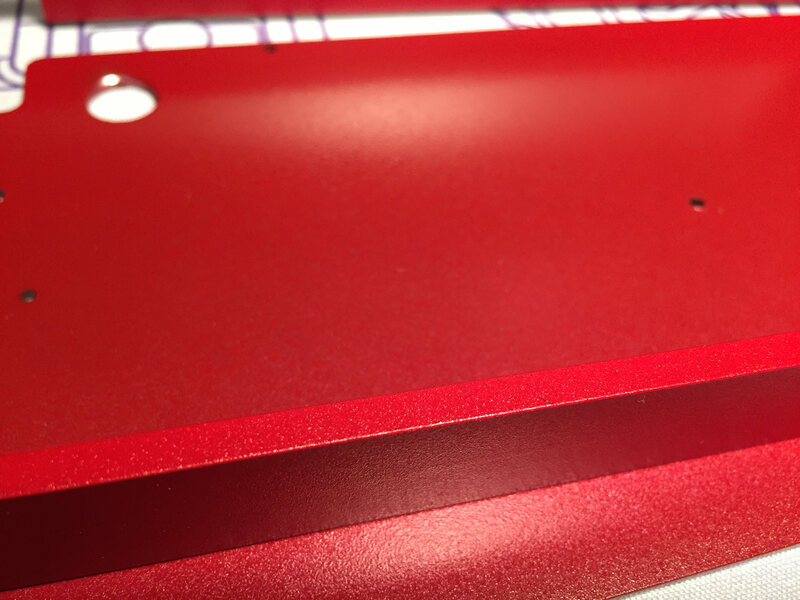 A typical off-the-shelf 60% case is a tray-mount (the PCB screws down into the case). Top-mount is for a case where the plate is screwed upwards into the case (The only off-the-shelf example I know of is the XD60 from KPRepublic). Custom group-buy 60% cases are now typically top-mount and needs a special custom plate, which I am offering to make for this GB. If you're getting a case from a commercial entity like AliExpress, it's most likely going to be a tray-mount case and you will need a tray-mount plate. 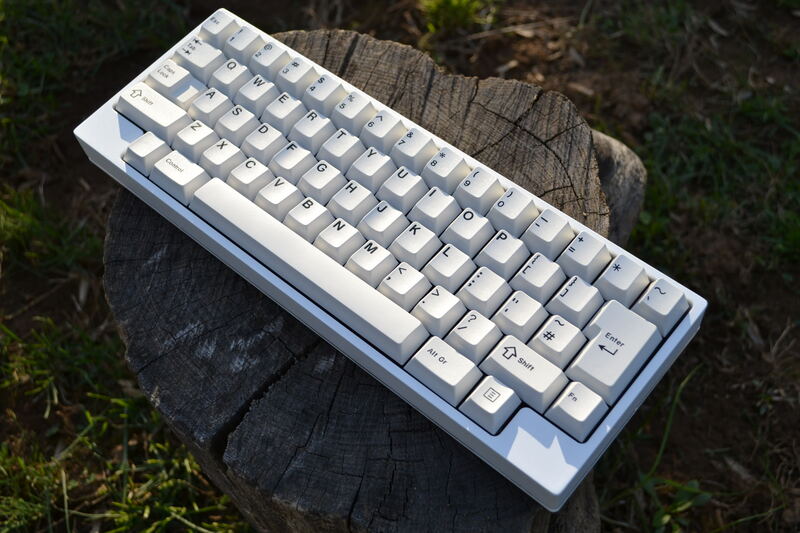 If you're getting the XD60/64/75 case from KPRepublic, you need to specify in the comments that you need a KPRepublic plate. If you have a custom case that you want to use, check to see if it has PCB mounting spots, or if the plate bolts onto the case itself. If so, you need the custom plate option AND you need to supply me the DXF of the plate from the original group buy. For key coverage, Ergodox + Alphas is enough for the split hands layout. If you want to cover the arrow-cluster layout, you will need the 60% kit as well (for the 1.25u bottom row). If you want 7u spacebar, you will need the Tsangan kit. Standard sets (like Tai Hao sets) will not cover the board as they do not have enough 1.5u modifiers, even with the wrong legends. You need a kit that has Ergodox support. /u/shensmobile will proxy for Canadians.